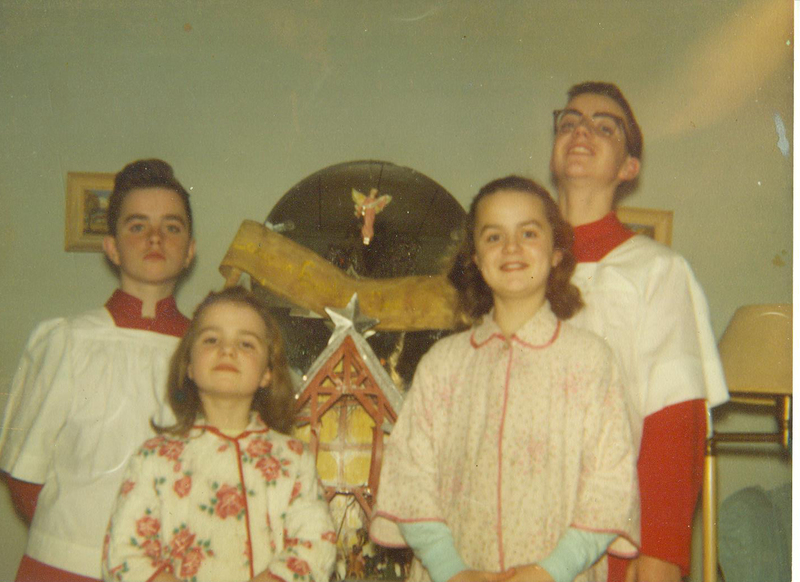 George Schmidt, right, at age 13, with younger siblings Tom, Terry, and Joan. George and Tom were alter boys at St. Elizabeth of Hungary Church in Linden, New Jersey.He was new at St. Benedict’s prep at the time. Sometimes, just before bedtime (we slept in the attic room), George would stand up and recite poems that he must’ve memorized because he wasn’t reading them from a book. 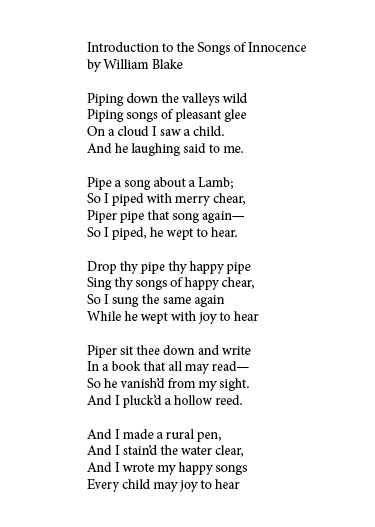 The poems that he loved to recite the most were by William Blake from “Songs of Innocence.” The poem that began with these lines: Piping down the valleys wild,/ Piping songs of pleasant glee/ On a cloud I saw a child./ And he laughing said to me. Blake is the poet that meant so much to him while he was beginning to enter adulthood. He loved those Blake poems very, very, very much. He would get an expression of deeply happy joy when reading Blake out loud. A poem George loved to recite at age 14. A phonecall from George always lightened my day, and intermixed with our conversations about the state of public education and grief over the moribund teachers unions and the self-serving Democrats. Despair was always lightened and hope for Change always flickering when George offered a few lines of Blake or Yeats.